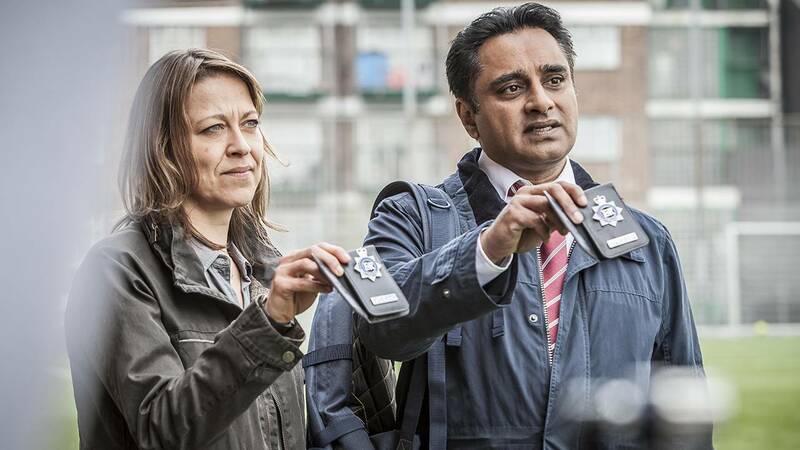 When a skeleton turns up in a basement, it’s up to DCI Cassie Stuart (Nicola Walker) and DS Sunny Khan (Sanjeev Bhaskar) to uncover the mystery. Unforgotten, the newest show from Masterpiece, premieres at 9pm Sunday, April 8, on CET and ThinkTV16 and will air on consecutive Sundays at 9pm through May 13. The show starts when Cassie and Sunny confront a skeleton buried in a cellar. And, next to the skeleton is a pocket diary, which may hold the key to solving the murder. Join Cassie and Sunny as they go through the pocket book, meet every person in the book and figure out what really happened to the victim. It’s a stone-cold case of stone-cold murder and it’s up to these two detectives to give the victim a voice.